We know and understand the community and our clients — And it shows in our work. Patrick brings 30 years of advertising and marketing experience to h&b. He has participated in every aspect of advertising, marketing, development, digital/new media and traditional media, from working as a local radio disc jockey to producing and marketing television shows for Pay-Per-View. 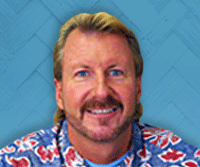 He has worked in TV, radio, print and advertising and been involved in countless major (and minor) memorable (and forgotten) advertising and marketing campaigns in the islands and beyond the shores of Hawaii. He is an award-winning writer, producer, director and creative collaborator and has a passion for taking the very best care of clients with top notch account service. His wealth of experience ranges from the travel industry to retail, from real estate to food and beverage, and anything and everything in between. Patrick is very active in the community with many professional and non-profit organizations and serves on various committees and boards. He grew up in Kailua, Hawaii, attended Saint Louis High School and the University of Hawaii, and now lives in Honolulu with his wife and family. He enjoys music, cooking, wine and traveling (not necessarily in that order). 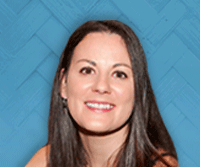 Katie has over 15 years of advertising and marketing experience on both the client and agency side. Her acumen in strategic planning, research, account management, media buying, public relations and the digital arena have lead to many integrated and award-winning campaigns. With a passion for people, Katie always seeks results and her experiences cover the gambit of industry - from tourism, health care and real estate to food & beverage, retail, QSR and technology. Katie holds a Bachelors of Science in Marketing from Loyola University of New Orleans and a Masters in Business from Hawaii Pacific University. She lives in Kaneohe with her husband, daughter and Labrador named Koa. She enjoys movies, wine and traveling. Faye has enjoyed working in marketing, advertising and communications for more than 30 years. Her early career started in Eugene/Springfield, Oregon, after graduating from the University of Oregon. She worked in advertising and promotions for a restaurant franchise and later at KMTR-TV (NBC). Then it was back to her home state of Hawaii where she thrived at a local ad agency and in cable, television, hospitality and newspaper industries. A keen sense of adventure brought Faye to Las Vegas where she spent several years in advertising and PR for a casino hotel. Now back in Hawaii for good, Faye brings her award-winning experience in creative selling, media planning and buying, event marketing and communications to contribute to clients’ success. Kainoa has over 7 years of marketing experience in consulting, advertising, public relations and digital. Prior to joining h&b he worked as a Marketing Manager focusing on developing brand identity, coordinating marketing campaigns, managing client relations and obtaining new business. Kainoa has a passion for helping people, problem solving and enjoys a challenge. He grew up in Honolulu, Hawaii and attended Moanalua High School. Kainoa holds Bachelor’s degrees in Marketing and International Business from the University of Hawaii at Manoa. He loves learning new languages and cultures, having visited various places throughout the U.S, Europe, Polynesia and Asia. Daniella has over 10 years of marketing and communication experience with a background focused in press and corporate communication. She holds Bachelor’s degrees in Journalism and Public Relations from Pontifical Catholic University and has coordinated several editorial projects for some of the largest Brazilian companies. Born in Brazil, love brought her to Hawaii in 2013, where she began work in the travel and events industry. In 2017, she joined the h&b team as the Office Administrator and Accounting Coordinator. She tries to be involved with activities and events related to her culture and appreciates time spent with her family and friends the most, especially when it involves BBQ’s, trips and laughs! Robert blends 16 years of marketing and advertising experience to deliver a cross-channel experience on all client initiatives. He leads engagements that are proven to be customer focused, results oriented and award winning. Following graduation from the UCLA School of Design, Robert worked for Hal Riney & Partners for 10 years on a wide variety of consumer brands, including Sprint, Hewlett-Packard, Aspen, The North Face and Marmot. After stints at TBWA Chiat Day on Panera Bread and M&C Saatchi on First National Bank, Robert also directed creative solutions for Walmart, Home Depot, Walt Disney, Dell, San Diego Zoo and Getty Museum, as well as a multitude of other brands. Dane has been a production artist and graphic designer in Denver since beginning his degree in Advanced Graphic Design for Print at Platt College in 2004. He previously received an education in art foundation and design at Rocky Mountain College of Art & Design from 2000–02, and high school training at Warren Tech Center in Multimedia Communications. Outside of graphic design, Dane also enjoys recording and collecting music. Erika brings a depth and breadth of understanding of the entire print process to her role as Print Production Manager. She began her career as a production artist and subsequently taught desktop publishing. During her seven years at Quark, she worked in creative production before moving into print production management. Our clients benefit from Erika’s ability to understand the creation of printed pieces from start to finish.